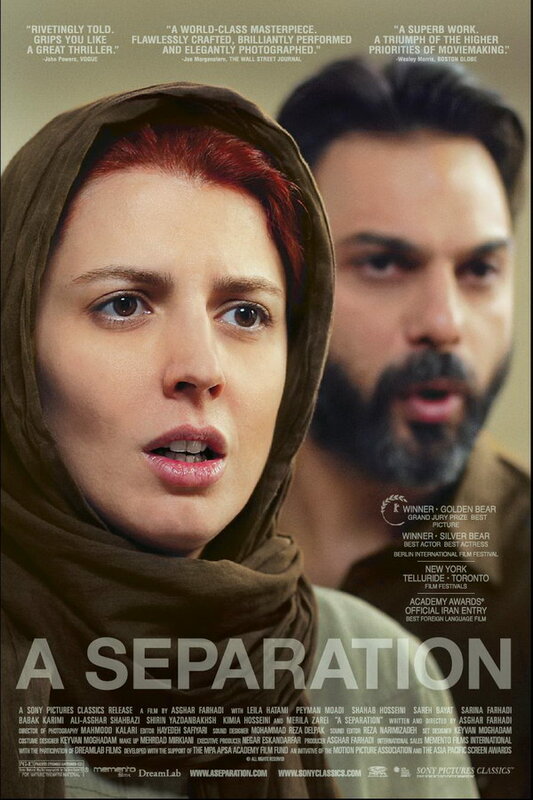 A Separation font here refers to the font used in the poster of A Separation, which is a 2011 Iranian drama movie that follows an upper-middle class family estranged because of differences over whether to leave Iran. The movie title in the poster is probably set in Helvetica Neue 75 Bold. The font is a commercial one and you can view more details about it here. In addition to A Separation, Helvetica typeface is also used in the following logos, movie posters or album covers etc., including: Blood Diamond, NSYNC Logo, Post-it, Hitachi, Dirt: Showdown, Streets of San Francisco (TV Show), Microsoft Flight Simulator, Farming Simulator, Crate & Barrel, The Vampire Diaries, Sideways, This Is 40, What Women Want, Target, American Apparel.